If you can’t control it, we didn’t install it. Do you need your AC or HVAC repaired? Call Controlled Aire! With over 20 years of experience in the heating and cooling business, Controlled Aire is Mid-Missouri’s leader in HVAC and AC repairs. At Controlled Aire, we guarantee our heating and cooling installation for your home or business with a one-year warranty. When our team of expert heating and cooling technicians repair or install your new air conditioner or furnace, you can count on our quality work and customer service. Why should you choose Controlled Aire for your HVAC and AC service? 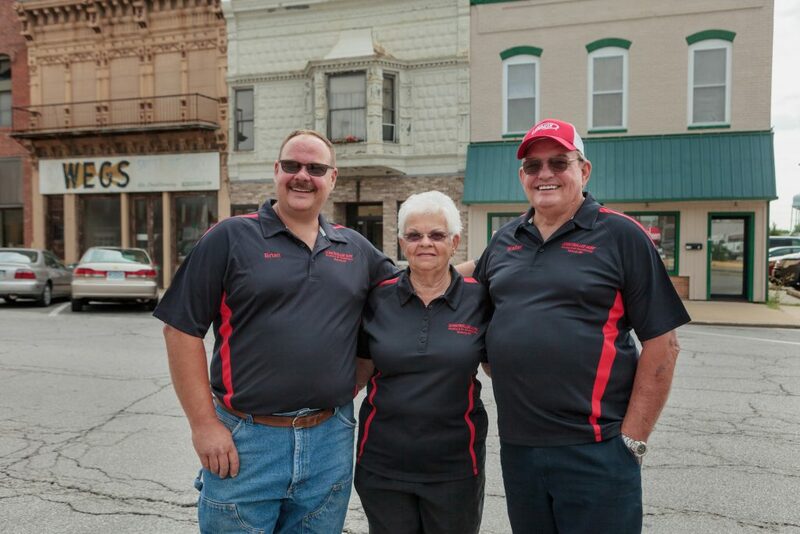 We are a family-owned, “mom and pop” business and we hold true to our business values. In 1991, our founder, Walter Flickinger, started Controlled Aire out of the trunk of a 1984 Buick. It soon took over the garage, the family room and eventually, the entire home. In 2006, Controlled Aire relocated to our current location in downtown Moberly, MO. Our location offers a full showroom with working fireplaces, wood stoves, gas logs and of course our RHEEM equipment. Additionally, we take full advantage of our onsite state-of-the-art workshop where we create custom sheet metal fabrications. Controlled Aire is Mid-Missouri’s leader in heating and cooling services! Our team of expert AC and HVAC technicians are dedicated to providing you with the heating and cooling solutions you need. The goal of the Controlled Aire team is to solve problems and return your home to its comfortable temperature. Controlled Aire’s services reach beyond AC and HVAC! Contact us to learn more about our humidifier, air filtration, fireplace, outdoor grill and kitchen services.